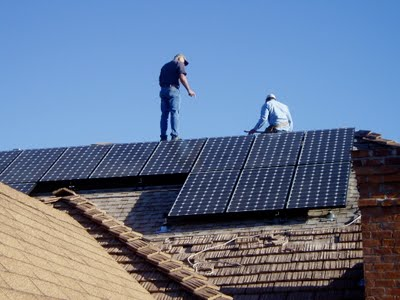 TFS Installed Solar Panels on KXCI in 2010! Kick off your Earth Day Weekend by tuning in to 91.3 KXCI Tucson on Friday, April 20 for a day long on air celebration of the 42nd anniversary of Earth Day. We'll be marking this milestone with special programming from 3:00 am to 6:00 pm. Search and Rescue, Your Morning Brew, The Music Mix and The Home Stretch will be spinning a blend of fun Earthy music including some of the classics and some new favorites. We'll also be hearing from local environmental leaders and community voices throughout the day with information on ecological advances. It's a great way to learn what's happening in Tucson and Southern Arizona and to find out how you can become involved. Stay tuned to 91.3FM for details or learn more on line at www.kxci.org.